In 1978 Jamieson came to America and to Stanford—the only cardiac center in the world doing heart transplants successfully. 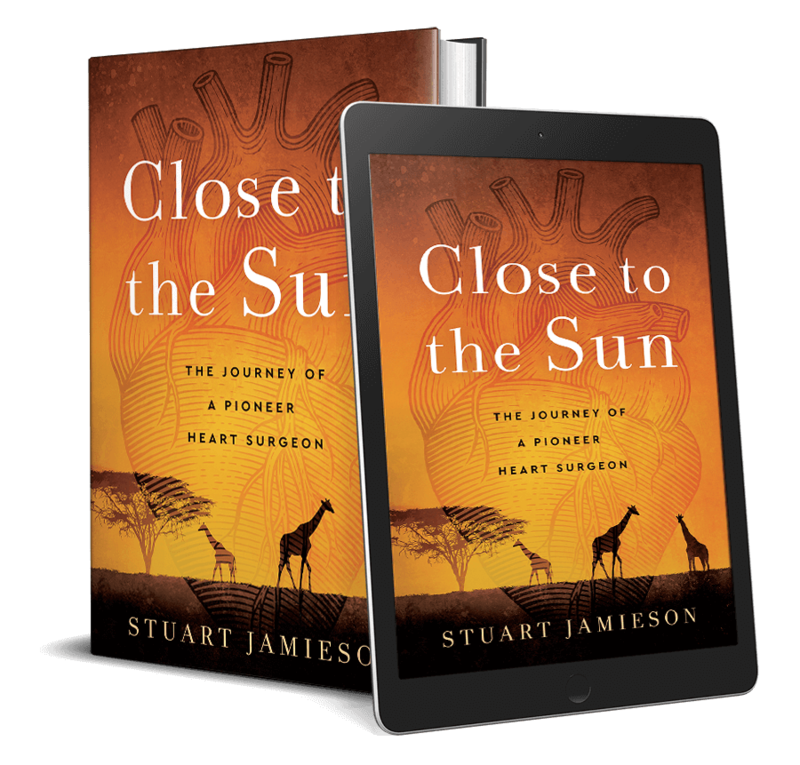 Here, Jamieson’s pioneering work on the anti-rejection drug cyclosporin would help to make heart transplantation a routine life-saving operation, that is still in practice today as he continues to train the next generation of heart surgeons. 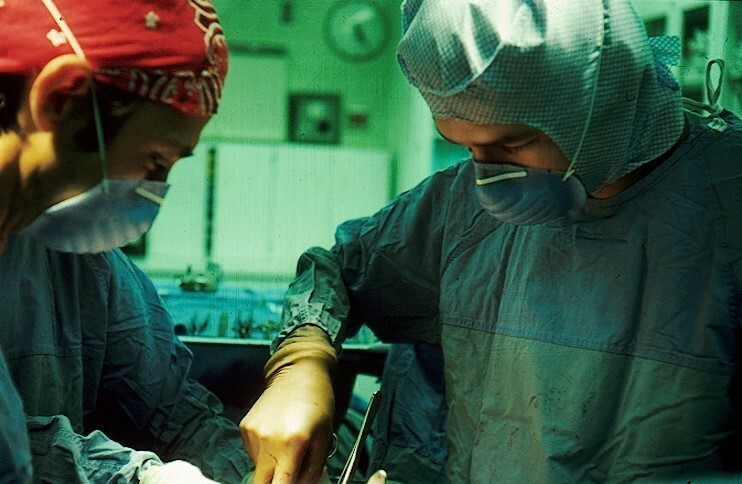 Stuart Jamieson’s story is the story of four decades of advances in heart surgery. During holidays, especially in the Rhodesian summer that began in October, my family lived at our vacation house in Chobe. The Chobe River is the major tributary of the Zambezi River, which forms the border between what were then Northern and Southern Rhodesia, now Zambia and Zimbabwe. We fished every day. The best times were in the early mornings or evenings, but we spent most of the day on the water, exploring the river or taking the boats to different parts of Chobe, where we would picnic and watch the animals. 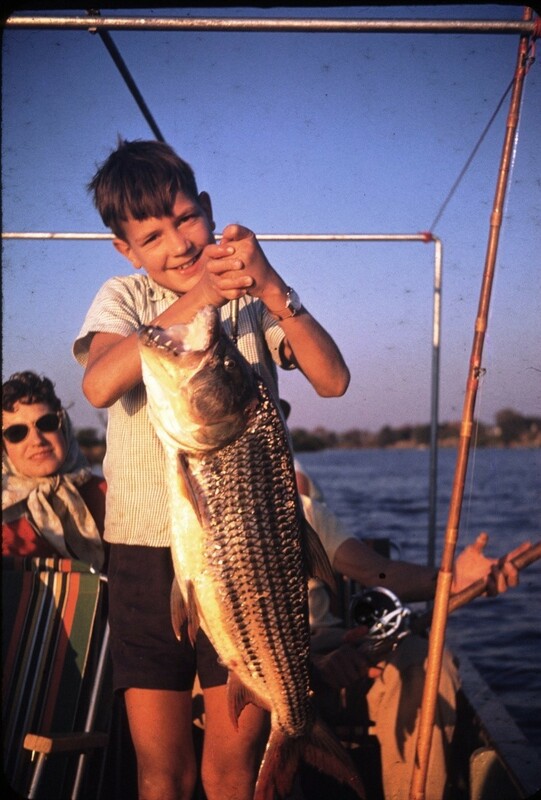 Here I am with a tigerfish. At Stanford, I had been on the clinical service only a few days when I did my first heart transplant, on July 4, 1979. Ed Stinson was the attending on call, and he came in from a Fourth of July party to help me. It was a transformative experience. I took out the swollen, dying heart and dropped it twitching into a bucket. The patient was on bypass. I looked into the empty chest, at a human being without a heart, kept alive by a machine. Nothing I’d ever done matched that moment. Here we are performing that surgery with Ed in his trademark bandana.